The Freedom Model, offered exclusively at the The Freedom Model Executive Retreat, is the only approach to drug and alcohol issues in the world that conducts ongoing, confidential, follow-up surveys with the permission of program graduates and their families. Baldwin Research Institute, Inc., the parent company of the The Freedom Model, is a research organization whose mission is to develop programs that help people to permanently overcome substance use issues, addiction, and other habitual behavioral problems. Baldwin Research Institute, Inc. developed The Freedom Model over the course of 3 decades of research and development and is the only program that continuously evolves based on ongoing research findings. Contrary to what has been stated on the web, Baldwin Research Institute Inc., does not conduct the outcome surveys for the retreats. All published surveys are completed by third-party independent research firms. As you can see from the published reports, (which you can look at and study, or download from this site) independent research companies conducted biennial surveys of our retreat graduates to ascertain the abstinence based success rate of the The Freedom Model. 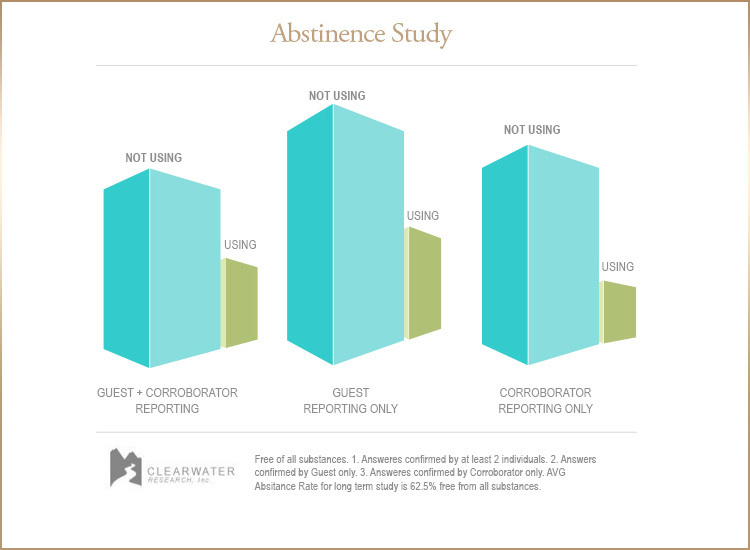 Retreat graduates are selected at random by an independent firm, (Clearwater Research Inc., in 2008) and are then surveyed by phone interview as to the status of their sobriety. A second and separate call is placed to the graduate's family and they, too, are surveyed to validate or invalidate each graduate's response. The survey consists of a single inquiry pertaining to the alcohol and drug use of the individual. The answers are gathered from the graduate and the family combined. The survey is set up to include only two categories: "using" and "not using". Those who may have successfully moderated their use must be included in the "using" category for research purposes to eliminate the gray areas that many facilities use to bolster their claims of success. In other words, The Freedom Model does not bias the research in the "not using" category by using this parameter. IMPORTANT NOTE: If you are researching different executive alcohol treatment or executive drug treatment facilities, we strongly recommend you ask every treatment center you talk to, "where do you get your statistics?" Self measured statistics, as you know, are not by any means, trustworthy. Also, do not be shy to ask where their published documentation is. You might be surprised to find that only The Freedom Model has published post-program rates of abstinence. All other programs self-measure, lie, or simply don't measure their own performance.